This new formula is lighter than other sunscreen which provides High-Definition UV Protection with Titanium Dioxide and immediately brightens your skin after one single application. The next level of sunscreen protection moves beyond mere protection against the sun and UV rays, but shelter you from heat itself ! It can be applied not only to your face but also to your whole body. 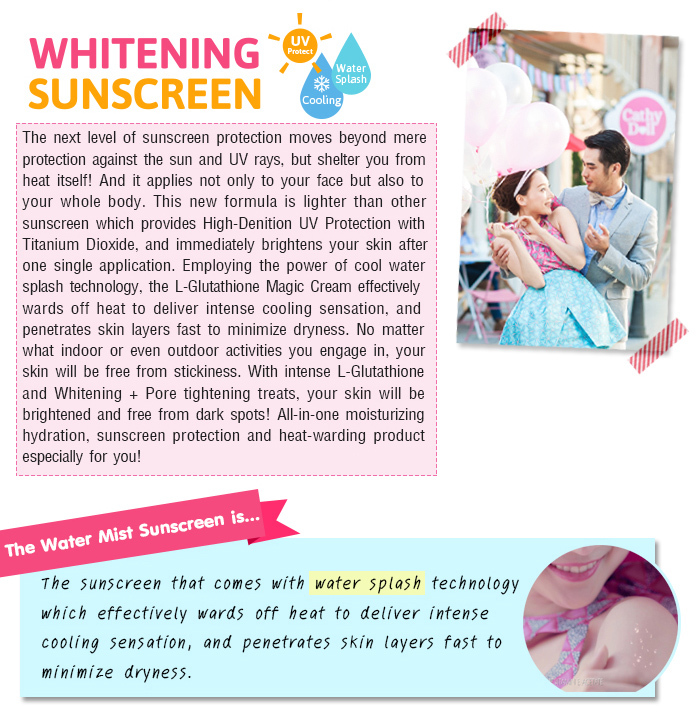 Employing the power of cool water splash technology, the L-Glutathione Magic Cream effectively wards off heat to deliver intense cooling sensation and penetrates skin layers fast to minimize dryness. No matter what indoor or even outdoor activities you engage in, your skin will be free from stickiness. With intense L-Glutathione and Whitening + Pore tightening treats, your skin will be brightened and free from dark spots ! 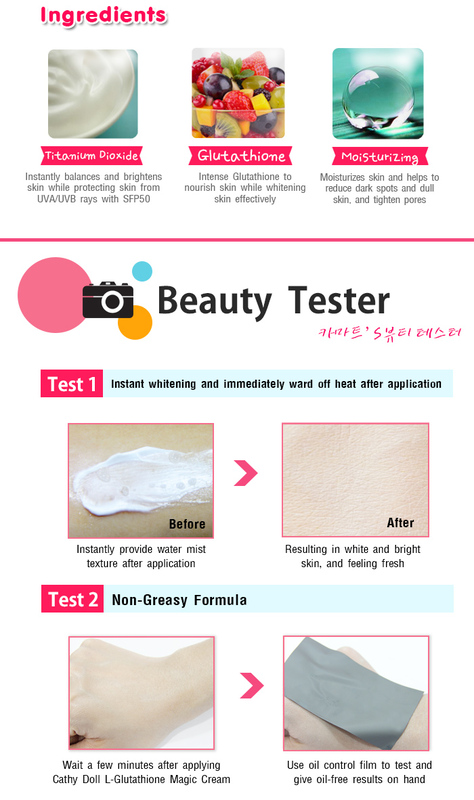 All-in-one moisturizing hydration, sunscreen protection and heat-warding product especially for you !